Submitted by Norm Roulet on Mon, 07/17/2006 - 06:42. 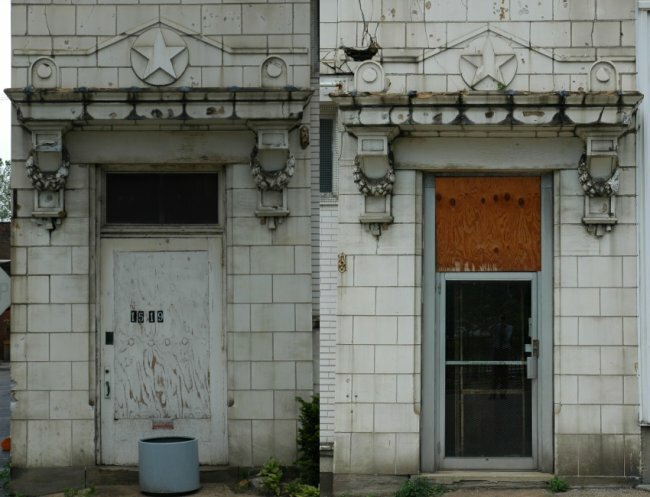 The most prominent architectural element of the Star Complex is the glazed terra cotta facade of the original bakery building, with some lovely decorative elements including a repeating star motif, that is also integrated in surprising ways throughout the main building of the complex (including star brick detailing on square smoke stack and even stars on the metal steps). The most striking detailing is around the front doors of this building, built on the front property line facing Lakeview Road. It is clear the front of the building originally had large windows, which have been closed up and should be returned to their original state. There are large, operational double sash windows in the office area of the second floor that are in good condition and can be restored. Building hardware indicates there were awnings on the westward-facing front of the building, which would be a striking detail to restore. 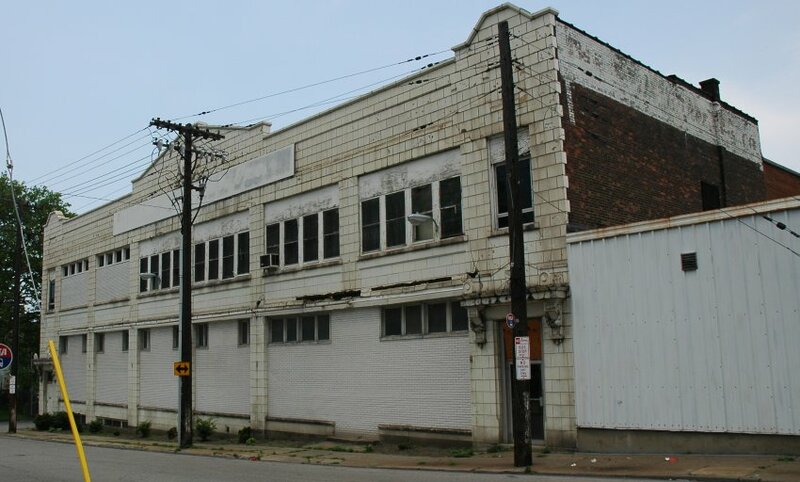 The massive Star Bakery Building is situated next to the railroad, which was used to deliver goods to the bakery... for example, there is a syrup holding tank in the basement that received shipments by rail. 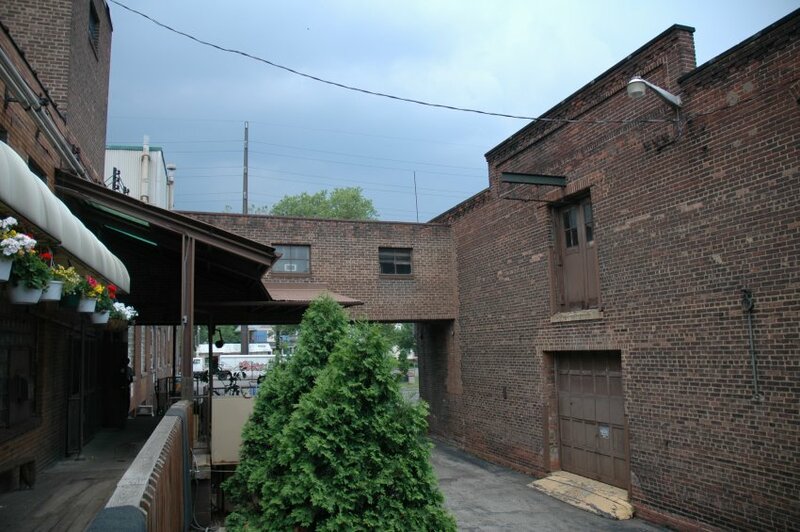 While used for the Hough Bakery, an enormous multi-room cooler was built between the bakery building and the railroad tracks. While this was operational in the 1990s, it is not of historic importance and could be removed, freeing the land for exciting development opportunities - the proximity to the railroad and the views that offers, by building up, are unique potentials of this property - it is the opinion of an engineer who has toured the building that there are significant opportunities to build up complex-wide. Prior to use as a bakery, the site was the location of a coal distribution center and there are still remnants of coal chutes from the rail line above into the oldest parts of the complex, which probably date before 1900. The structure behind the main bakery building was the original structure built for that use, but converted into the bakery complex with the addition of the front bakery structure by the Star Baking Company. Other remnants of the coal distribution company remain across the lot from the main buildings. Across a driveway from the main building - and original coal processing area - there is a large two story building of the earliest era of the property, which was the stable for the horses that pulled the coal delivery carts. The facades are attractive and largely intact and the interior has been renovated into a restaurant, reception space and there is a large commercial kitchen used by the current owners in support of their restaurant business. Viewing the building from the front, on Lakeview, notice the windows spaced and positioned for horse stalls. 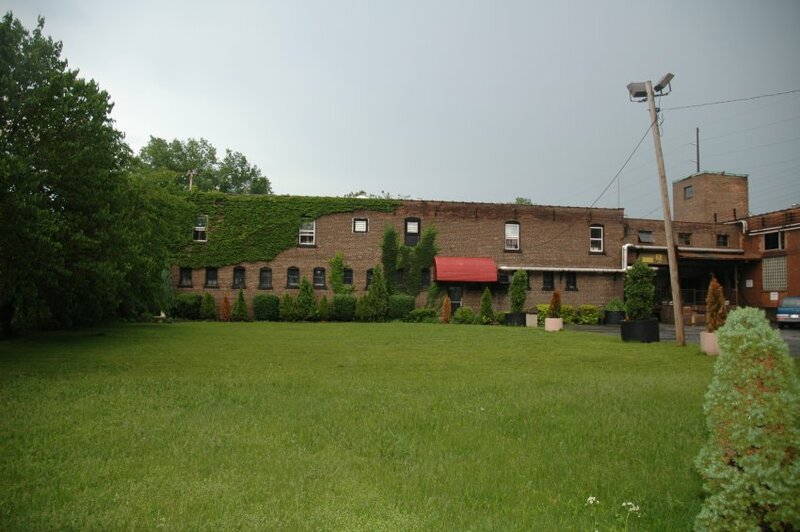 There is a large landscaped lot and parking area between the stable building and Lakeview, and they are connected with a very sturdy brick and steel bridge that is used regularly by the present owners. As with all structures in the complex, these oldest structure are in excellent condition and have been well maintained. Ceiling heights are high, spaces are large, and systems are largely up-to-date and in-code. There are few architectural elements in the interior, as this was a serious production facility, but the exterior presence is very significant while highly adaptive. The same stable window configuration found on the front of this building is seen on the back - this was a large enterprise. Under later Hough Bakery development, significant additional buildings were added to the complex and there is a second connecting bridge - the entire Hough Bakery operation was completely interconnected and self sufficient, even having glass and machine shops shown in the steel buildings in the rear of the photo above, and below. 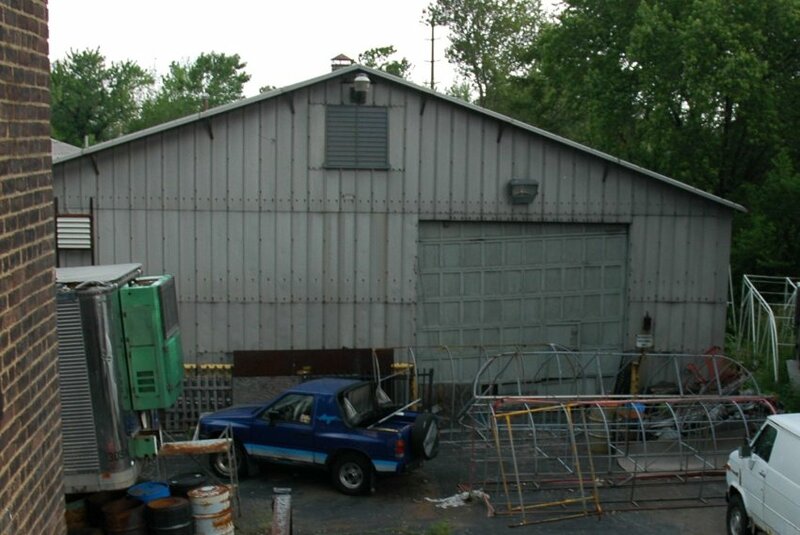 While only one is visible, there are two large, high quality metal buildings that were the physical plant and maintenance operations for the Hough Bakery enterprise. Much of one building has multiple boilers for heating the complex, which work but are only used when the weather is extremely cold as there are other heat sources in the building. The other building (they are open and connected between the two, making for one 10,000 sq. ft.+ space) still has racks of glass for Hough stores now gone. In redevelopment, there buildings would certainly be replaced with new construction. The heating should go goethermal and alternative, and the complex has excellent surface and clearance for solar and height to explore wind. 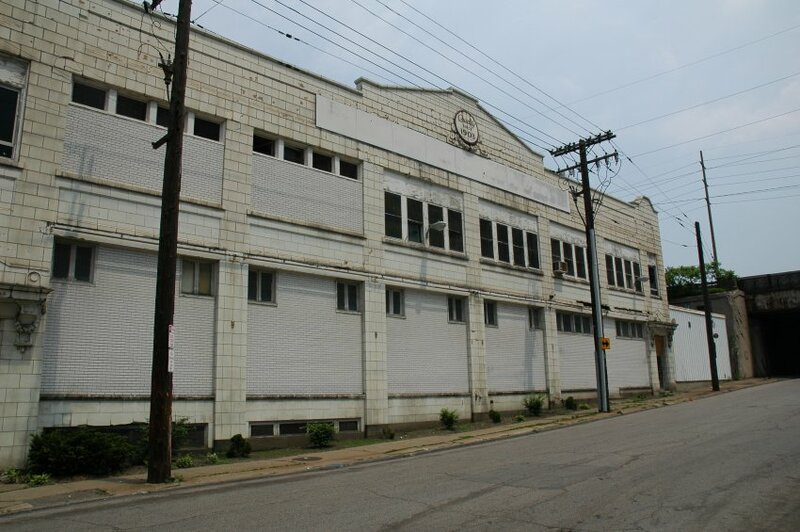 In the 1960's the Hough Bakery built the structure shown here, which is massive and extremely high quality - this was the distribution center, on the first floor, and art and printing plant on the second floor - there are still cartons of Hough Bakery boxes and advertising negatives on the second floor waiting for a future that never came. 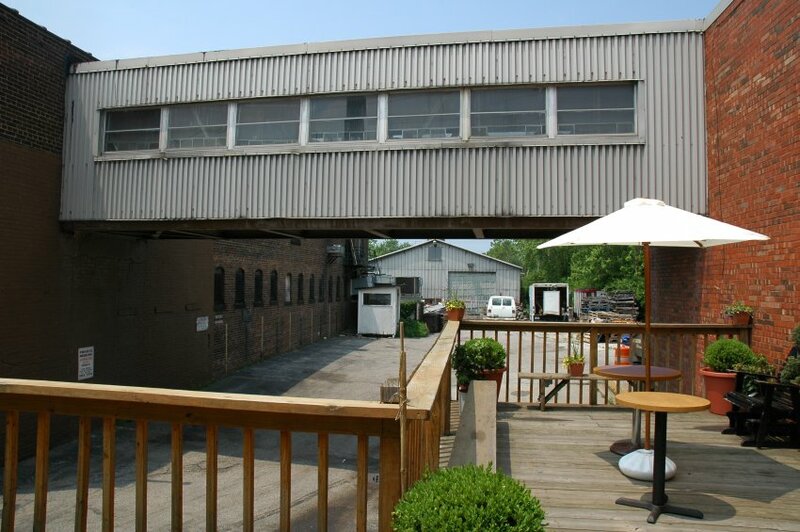 This building is very sturdy and in excellent condition, with modern freight elevator and easy access by stairs, which also leads to the bridge to the stable building. There are six deep double width loading dock bays with electronic overhead doors, each sufficiently large for two delivery vans, and there is warehouse space that is easily twice the depth of the loading bays. 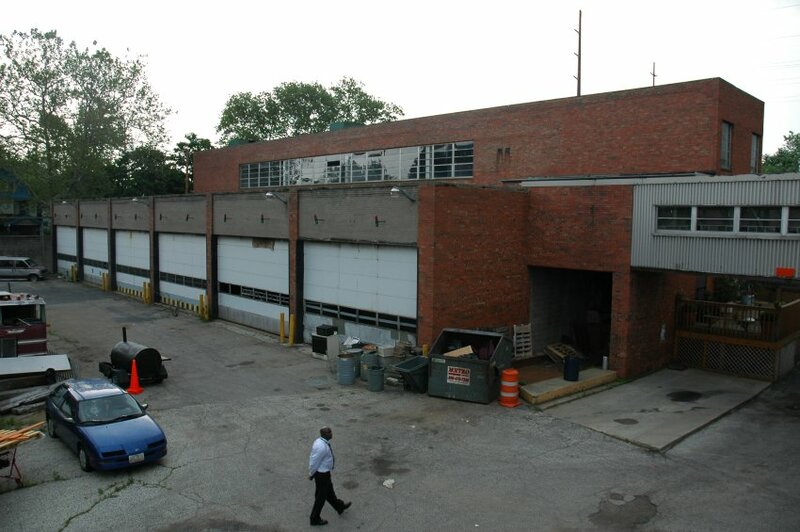 This addition backs up to the Auburndale Street on the next block from Lakeview (making the complex a block deep), and there are industrial gates at entrances on Auburndale and Lakeview, providing excellent vehicle access. There is also significant land-locked property behind the Star property that may be added to this parcel and used for the greater development project, including for parking for the complex. It should be noted, the Williams family also owns property across Lakeview that will be developed, or may be used for parking for the complex (it is currently paved for parking).